Trim, dapper and personable, Piedmont winemaker Nicola Chionetti was in town a few weeks ago. His youthful appearance notwithstanding, Nicola served a five-year term as mayor of Dogliani, a Langhe village whose surrounding vineyards are generally considered a top source for Dolcetto wine. In fact, Dogliani was the first of the only two Dolcetto appellations to have been granted the exalted DOCG status and the appellation’s identification with the grape is so complete that its denominated wines may be identified simply as Dogliani instead of Dolcetto di Dogliani. 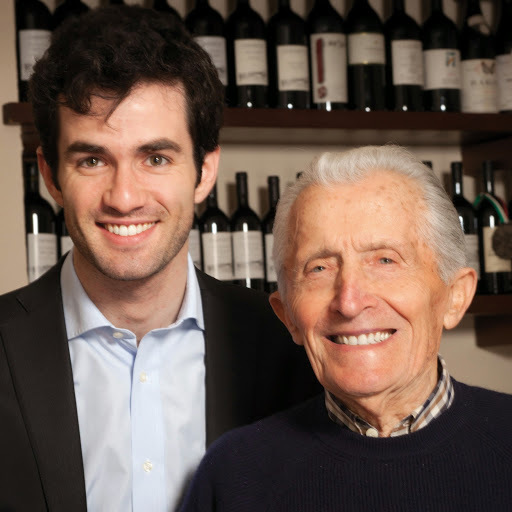 One of the two or three leading Dogliani estates, Chionetti was founded in 1912 by Nicola’s great grandfather, Giuseppe. The name of Quinto, Nicola’s grandfather, continues to feature on the estate’s labels: Azienda Agricola Chionetti Quinto e Figlio. While farming techniques have always been sustainable, the estate is officially converting to organic practice. Its 16 hectares of vineyards produce around 85,000 bottles of wine in a normal year. Only three wines are widely marketed: the Dogliani DOCGs San Luigi and Briccolero and a Langhe Nebbiolo. The winemaking for the two Dolcettos is nearly identical: manual harvesting, destemming, soft pressing, fermentation and maceration on the skins and with indigenous yeasts in temperature-controlled stainless steel tanks (29-30°C), maturation for around 11 months in stainless steel tanks, cold-stabilization and no filtering. The differences are the vineyards’ soils (clayey in San Luigi, more calcareous in Briccolero), the vines’ average ages (25 years old versus 45), yields (6,000 kg/ha versus 5,000), the typical length of maceration (10 days versus 14) and the usual alcohol level (13% versus 14). In a good vintage, the San Luigi can age up to 15 years, the Briccolero 20-25. Among the activities slated during Nicola’s visit was a commented tasting and feast of a lunch at Hostaria for a large table of sommeliers, restaurateurs and wine writers, among whose company I was flattered to be included. Many thanks to oenopole for the opportunity to spend time with an artisan whose wines I have always enjoyed. All told, we tasted six wines, two of which are currently available at the SAQ. You’ll find my notes after the jump. 2006 – balanced conditions with wide diurnal temperature variation; in many ways similar to 2011. 13% ABV. Quebec agent: oenopole. Reducing sugar: 3.1 g/l. 14% ABV. Quebec agent: oenopole. 14% ABV. Quebec agent: oenopole. An initial hint of volatile acidity blows off, leaving a lovely nose of turned earth, dark berries and mushroom. Velvety on entry, the texture turns silky as the wine wends its way through the mouth. The fruit, a shade less intense but every bit as pure as the 2013’s, is both ripe and dry, carried on a stream of acidity. A fine astringency lingers through the long finish. Gorgeous and accessible. 13.5% ABV. Quebec agent: oenopole. Fruit-forward nose, the mulberry-plum here scented with sandalwood. So smooth and suave in the mouth. Compared with the 2013, the tannins are still astringent but more in the background while the acidity is once again brighter than expected for a Dolcetto. Long and complete. A delight. While retaining all the elements of the later vintages, the nose is beginning to show some balsamic notes. The balance, structure, weight and flavours are consistent with the 2012 and 2013 though the astringency is less present and tertiary flavours are beginning to appear, most notably on the long finish. In a good place now. 14.5% ABV. Quebec agent: oenopole. Such a complex, savoury nose with pronounced balsamic and oyster mushroom aromas. On the palate, the still-juicy fruit is less forward, the tannins mostly resolved and the constituent parts seamlessly integrated. The mineral underlay is most apparent here. Only the kirschy overtones on the finish hint at the alcohol level. Deep, long and wonderfully vibrant for an eight-year-old Dolcetto.